Beyond its gameplay, rarely free of flaws but increasingly refined every year, I admire the NBA 2K franchise for its depth and diversity of game modes. Last year, NBA 2K18 fully embraced the changes but brought issues with it like the Hub and some content removed from its predecessor. And so for this year’s edition, NBA 2K19, Visual Concepts focused on enhancing or 2018 additions, baking heavily on the Neighborhood hub making it richer and full of new content. At the core, what best characterizes the gameplay of NBA 2K19 and its modes of play is the richness and diversity of these. On the court, there’s always gameplay improvements, with a noticeable better balance between offence and defence, making it more difficult to go straight to the basket and score. The contacts are more realistic that way, with a better defence in place pushing you to create a game plan and wait for the right opportunity to try for the hoop thanks to a better AI. As for the animations, they are still as realistic as they’ve been upgraded last year, especially in terms of physical contact. All this will require a fresh new mastery of the gameplay, and if you are already a NBA 2K beginner or newcomer it may take time to manage everything properly. Note that tutorials are available in the game to guide you and teach you all the subtleties of the title. Now compared to the many game modes, 2K Sports has worked again to offer us multiple ways to have fun in NBA 2K19, including the original ones like MyLeague, MyCareer, MyTeam, MyGM and much more. So first, let’s get to the heart of the matter: the career mode. As for a few years now, the player you have created is stuck to the drafts and finds himself playing in the Chinese championship where he has to prove himself to be spotted by NBA scouts. This scripted story, in which you have to make certain choices, follows your evolution to the NBA through the NBA Gatorade League (minor league). The story consist of a lot of cheesy moments that will make you either smile or cringe, plus a multiple “career” choices to pick. There are characters already seen previously in NBA 2K, but also fresh faces in the “acting” cast like Haley Joel Osment and Anthony Mackie on top of your very own avatar which as usual can be as close as possible to your likelihood thanks to the MyNBA2K19 app. The goal of MyCareer, of course, to improve your player over a series of games and I must admit that it’s quite long unless you want to cough up some real cash. Because, indeed, the VC or virtual currency is still present in this opus, and while it is possible to gain some by your own court performances but also via the companion application on iOS and Android, the temptation is still present. Why? Because the currency is used for everything, whether it is improving your stats, but also buy customization items like shoes, accessories and outfits. The great change is that you are now allowed to jump to the game’s hub, introduced in NBA 2K18 and known as the Neighborhood. The latter is an always online connected hub where players from all over the world meet and has been expanded in terms of content. You’ll still find the usual stores like Foot Locker and NBA Store to buy customization items, as well as your very own apartment and court, reduced to a smaller “map” to reduce loading time (which was a hassle last year). There’s also some fun spots like a series of mini-games, such as the playing basketball on a trampoline court, or the Jordan RecCenter which comes back from the dead after being ditched in the 2016 edition of the game, with added matchmaking to fill in those empty team slots. The Neighborhood as well got a lot of visual additions, notably a day and night cycle, but also periodic community challenges to receive VC. Add to that daily challenge, and the daily lucky wheel spin to get a random bonus. Then, come to My MG mode, and this year again, it proposes a preset scenario called “The Saga Continues”. In summary, the synopsis puts you in the shoes of a General Manager under the direction of a cliché Texan millionaire called Tex Towers who of course wears a Cowboy hat. At least the management of the team in all its aspects whether players, staff, or brand, in general, brings a wealth of content to the title, and for those of you that would prefer the good NBA 2K17 MyGM mode, then that option is also available. On the visual side, the series of NBA 2K is always known to be one of the best looking Basketball gaming franchise, if not sports in general. While NBA 2K18 was already a technical achievement especially if you use the Xbox One X with full HDR and native 4K, there’s also slight visual improvements that you’ll notice as you play especially in the court environments. The details in the animations of the players and the public are always as mind-blowing, and we got close to perfection when it comes to player 3D models with the exception of just few faces that look a bit off. 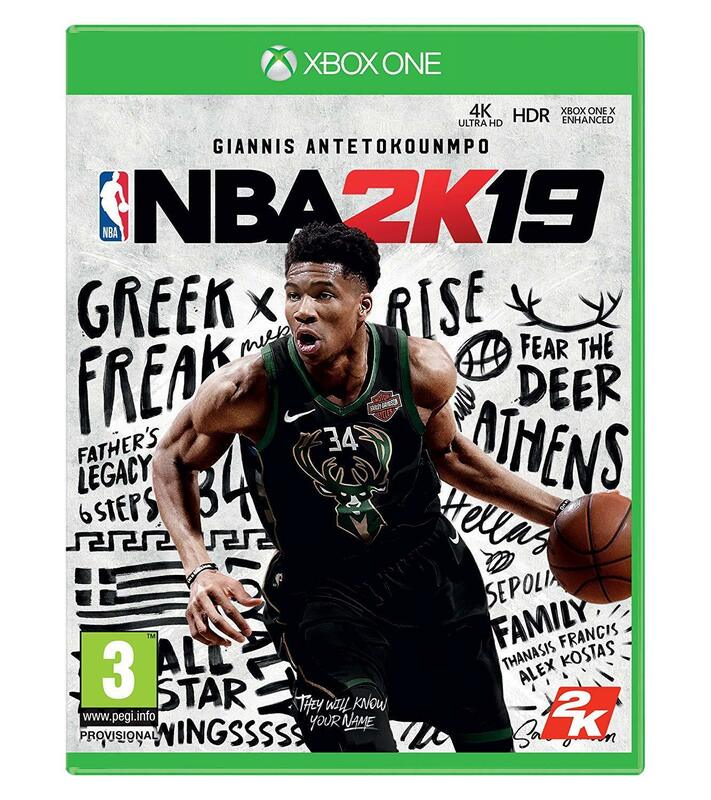 NBA 2K19 was reviewed using an Xbox One digital download code of the game provided by 2K Games. The game is also available on PlayStation 4, Nintendo Switch and PC via digital and retail store releases. We don’t discuss review scores with publishers or developers prior to the review being published (click here for more information about our review policy). •	Finally some balance between offense and defense.